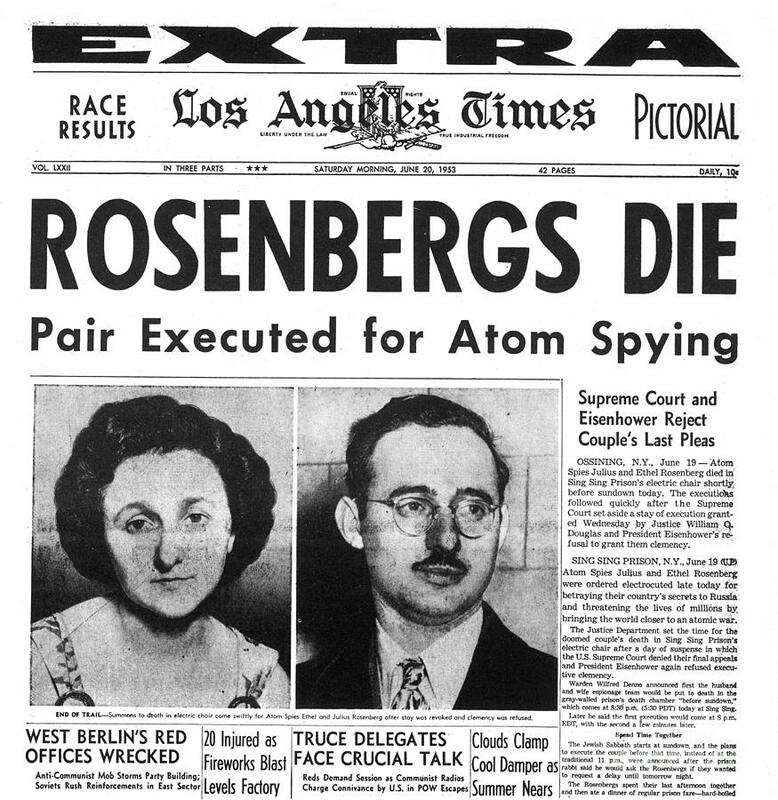 Julius and Ethel Rosenberg may have been executed in 1953 for conspiring to pass atomic secrets to Russia, as this Los Angeles Times front page noted. During the past six decades, the Rosenbergs have been subject to more revisionist history than Joseph Stalin in his prime. 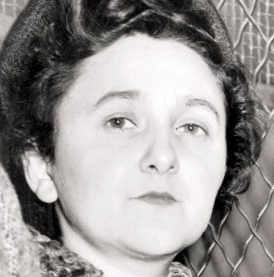 Now comes the latest effort to exonerate Ethel Rosenberg, with both her sons and former Massachusetts Gov. Michael Dukakis urging Pres. Barack Obama to issue a presidential pardon. As we said, never die . . . This entry was posted in Uncategorized and tagged atomic secrets, Boston Globe, Boston University, boston.com, Ethel Rosenberg, Howard Gotlieb Archival Research Center, Joseph McCarthy, Joseph Stalin, Julius Rosenberg, Los Angeles Times, Michael Dukakis, Michael Meeropol, Robert Meeropol, Roy Cohn, Ruth Greenglass, Sacco and Vanzetti, Scrapbook, The New Red Scare, The Weekly Standard, Upton Sinclair. Bookmark the permalink.